When you’re from Florida, even a large hill can look like a mountain. And here I was at 6 a.m. at the top of Loveland Pass, a 12,000-foot elevation trail on the Continental Divide. We watched the sun climb over the Rocky Mountains, and the June sky was painted in a unique blend of blue, pink and orange. Kopka climbing the Loveland Pass Trail in Colorado with the teachers' school bus below. I was amazed by this unimaginable Colorado landscape. But more importantly, I was inspired for the upcoming school year. 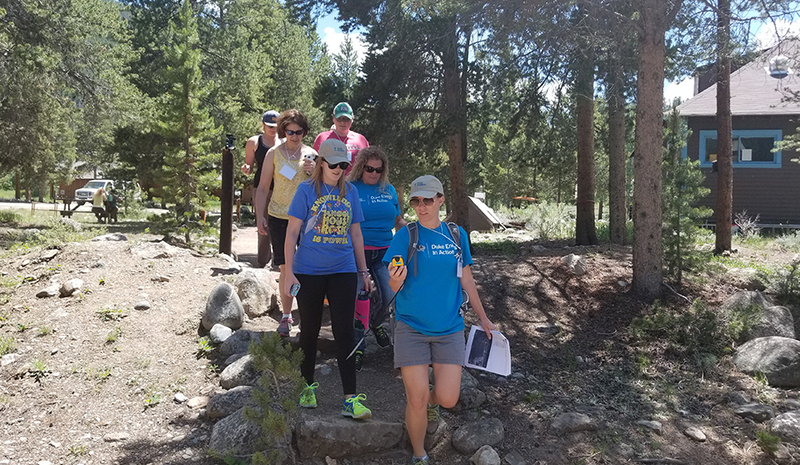 Our hike was the perfect ending to the Keystone Science School’s Key Issues Institute for Educators, a five-day workshop where 33 teachers from around the country learned new ways to apply science, technology, engineering and math (STEM) techniques to real-world environmental issues. 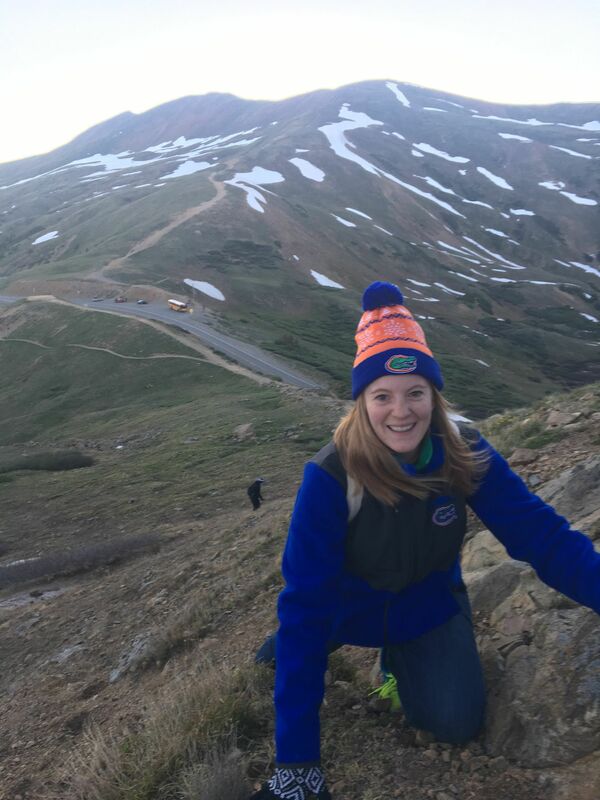 Not only were we in the field exploring the great Colorado wilderness, but we were learning how to implement project-based learning in a variety of subject areas, including language arts, geography, chemistry and mathematics. Each activity required us to use collaboration, critical thinking, communication and creativity skills. This incredible experience made me think about how our classrooms are often overrun with book work, hypothetical situations and standardized testing. While these things are a necessary part of school, they also leave little room for hands-on projects. You know, the kinds of experiences -- like that sunrise -- that students would remember for the rest of their lives. One of the best things about the Institute is that every teacher is asked to go home with a new, experience-based STEM project for their students. Inspired by my sunrise hike, I wanted to find a way to bring Florida’s landscape and environment into our classroom. Mountains are very much a part of the environment in Colorado, and while we don’t have mountains in Florida, we are known for our sunshine, and solar energy is a hot topic in the news. When I came back from Colorado, I began researching ways to teach my students about solar. While we’ll start with the basics of how it works, I’ve found several hands-on lessons including one with solar powered robots, which I think they’ll love. A group of teachers participates in a hands-on lesson at the Keystone Science School in Keystone, Colo.
I’ll need more resources, but eventually I hope to have students install solar panels that could power part of our school. My students were jumping with excitement at the end of last school year when I told them I was invited to Colorado, and I can’t wait for them to come back to school so I can share what I learned. Kali Kopka is a kindergarten teacher and after-school STEM academy teacher for 10- to 12-year-old students at Leila G. Davis Elementary in Clearwater, Fla. She was one of 14 Florida educators this year to receive a grant from Duke Energy to attend the Keystone Science School’s Key Issues Institute for Educators. Find out more about teaching and STEM on Kopka’s blog.